Warm, Soft & Neutral Super Home Styling! Warm and soft are two very descriptive words that mean luscious in my life! 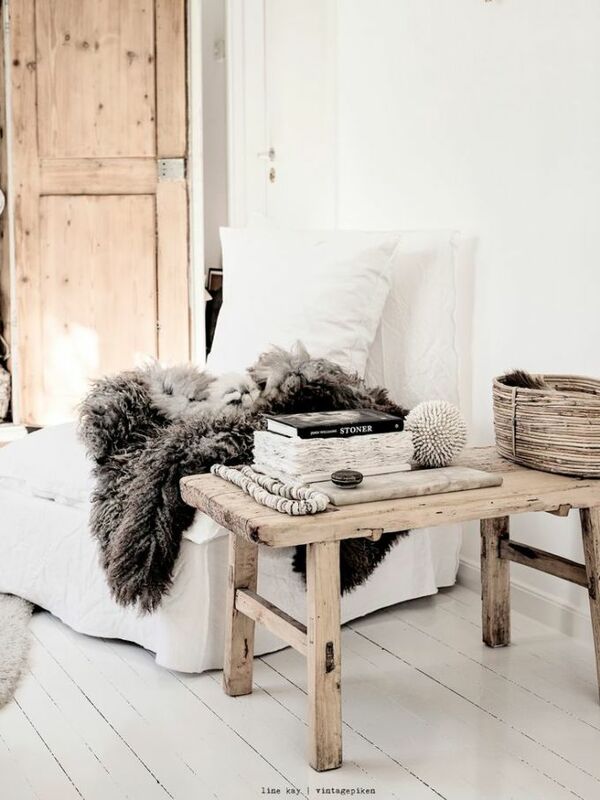 As I’m about to hunt for some faux-sheepskin rugs for my living room and office, the warm and soft are on my mind! Here are some stunning rooms that leap to the next level with home style that is improssible to ignore. 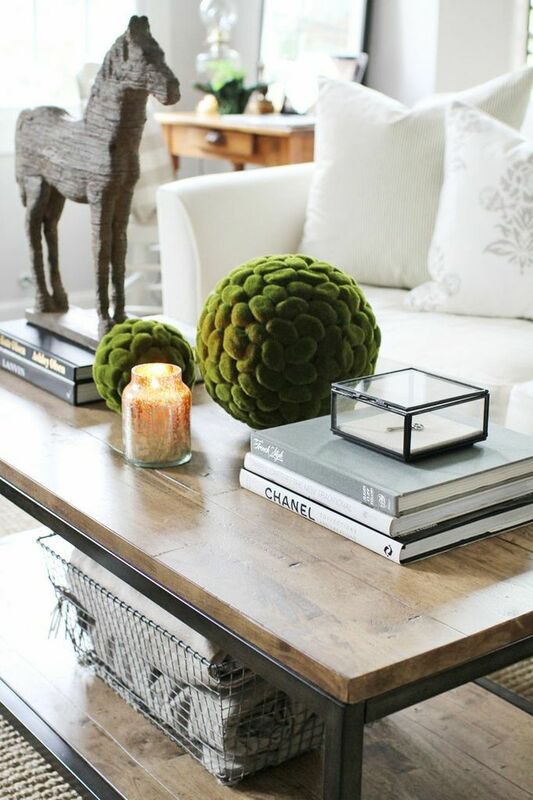 While these topiary balls are much-overused in Los Angeles furniture shops, when I actually see them in a home I am never less than thrilled! Can you see how these soft edges of the topiary (also easily accomplished with a plant with rounded leaves) combined with the lightweight bin of rolled up blankets and the soft lines of the horse sculpture all feed the stylish warmth? A little fire (multiple candles do the trick!) and lots of bunchy flowers create a tablescape that sings with plush, unique texture. I’m bookmarking this color for my own dining room windows in the winter! Adding pastels as neutrals is a no-fail way to create such great majesty in home design with soft, warm neutrals as the star. I also deeply love this whitewashed wood: nothing more than a tree stump painted in white but so beautiful and singular. 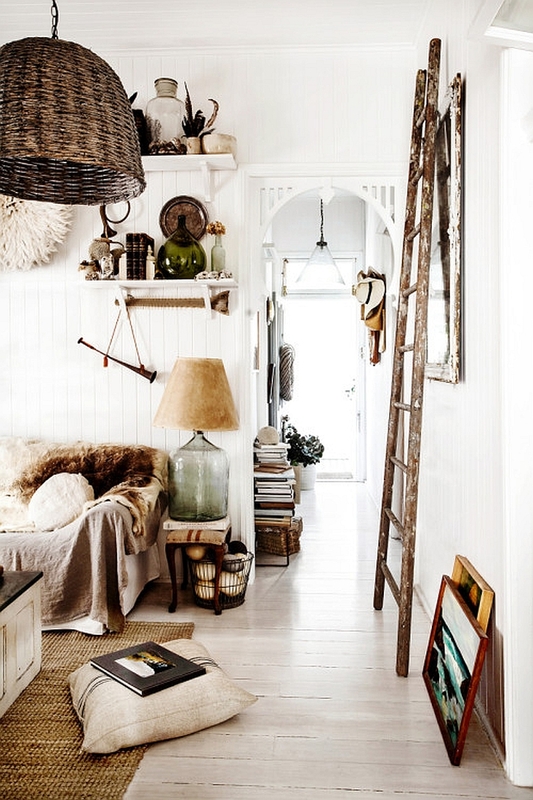 The sisal carpet on a painted wood floor = perfection. A shelf full of glass, books and vintage instruments adds so much music (literally and figuratively) to the very neutral room. 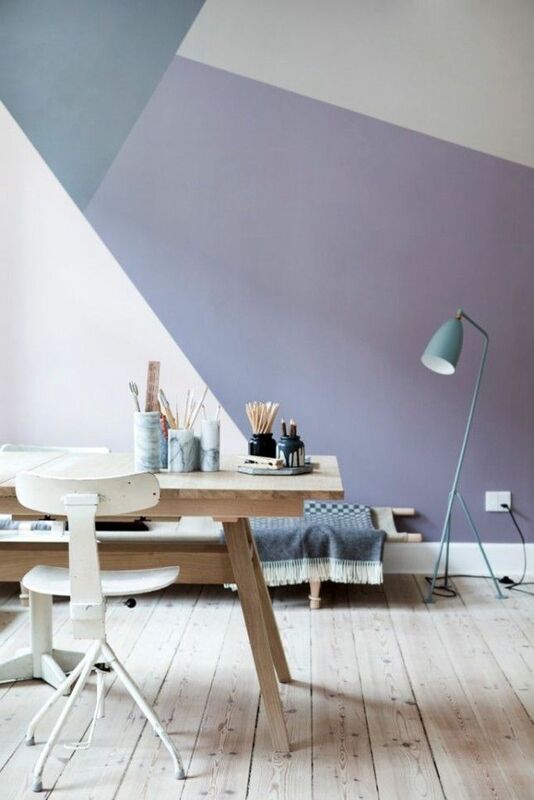 Geometric murals (you can paint these- they just require some planning and great masking tape!) 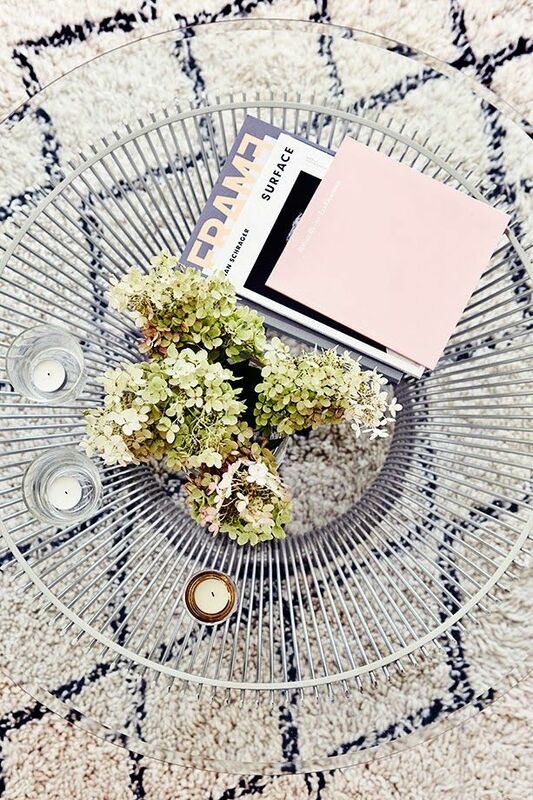 in shades of neutral are a rare find in a home. The magnificent wall is complimented by some textiles, natural light and fantastic organizing cups to create a clear, clean and inviting creative workspace. Previous post: How To Live With More Gratitude On Autopilot!